The Conrad Dublin is located in the heart of Dublin city, offering 191 luxurious hotel guestrooms including 15 suites, 9 conference rooms a selection of banqueting rooms. Providing unsurpassed hospitality for all of its hotel guests, the Conrad hotel in Dublin city centre offers a combination of luxury and a genuine local experience in Ireland. Visit the Conrad Dublin and experience the ultimate luxury…The Luxury of Being Yourself. Located on Earlsfort Terrace, the Conrad Hotel Dublin is ideally located just 5 minutes’ walk to the city centre through the famous St. Stephens Green. Full shopping and night life is accessible within walking distance of the property and underground parking is also available to ease the headache of city centre parking! The Conrad Hotel Dublin is located to the South of the city and is approximately 45 minutes from Dublin airport and is also easily accessible by public transport. A direct city/airport link bus is available from outside the property at regular intervals daily. The Conrad Dublin hotel is located in the very heart of Dublin, just opposite the beautiful St. Stephen’s Green and a mere 5 minutes’ walk to the city center. Stroll through St. Stephen’s Green, largest of Dublin’s Georgian squares. Enjoy the W.B. Yeats memorial garden which includes a sculpture by Henry Moore, or visit the Fusilier’s Arch, which commemorates the Royal Dublin Fusiliers who died in the Second Boer War. Head over to the Stephen’s Green Shopping Center for some retail therapy, or visit Grafton Street for a range of high street shops. 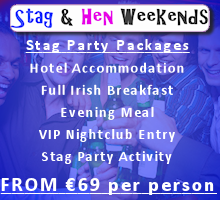 The hotel is also just a 20 minute walk from Temple Bar, often considered Dublin’s cultural quarter. Alive with bars, restaurants and shops, it’s the ideal place to spend a night in Dublin. Temple Bar is located just south of the River Liffey, which is also perfect for a riverside walk at any time of day. The Conrad Dublin hotel is located equally close to Trinity College Dublin, a beautiful university which dates from 1592 and is one of the most famous educational institutions in the world. Dine with sophistication at the Conrad Dublin hotel. The Alex restaurant offers contemporary seasonal cuisine in a contemporary setting. Start with seared breast of pigeon with glazed baby turnip, or savor monkfish tail with chorizo, orange and spring onion risotto. The Alex Cocktail Bar adjoins the main restaurant and serves refreshing drinks and cocktails in a stylish, elegant setting. Relax with one of the bar’s specialty chilled cocktails, or meet friends and colleagues for pre-dinner drinks or refreshments. For a more casual dining experience at the Conrad Dublin, Alfie’s Bar and Grill overlooks the National Concert Hall and features bright, warm décor. Guests at the property can avail of Internet access in your room at a fee from €4.99 per 24hours. WIFI is available in the common areas around the hotel only (bars, lobby, cocktail lounge etc) this service is free of charge. 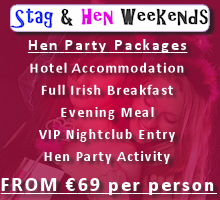 Parking is available with a secure underground car park that has a charge of €19 per night / 24 hours. Providing unsurpassed hospitality for all of its hotel guests, the Conrad Hotel Dublin offers a combination of luxury and a genuine local experience in Ireland. 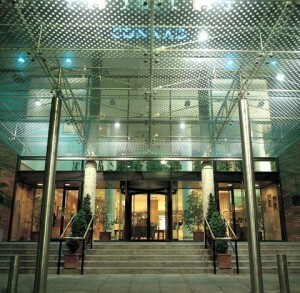 This entry was posted in Conrad Hotel Dublin and tagged 5 Star Hotels Dublin, Conrad Hotel Dublin, Dublin Hotels. Bookmark the permalink.